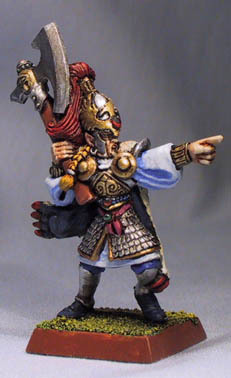 IntroductionOne of the emerging aspects of miniature painting is the taking pictures of completed figures for the purpose of exhibiting and inviting critique. Good photography is especially important if you are thinking of selling your painted miniatures over the Internet. Over the years I have experimented with scanning, conventional photography and digital photography. Here I try to present as best as I can what I feel are the most cost effective ways of getting good clear pictures, including suggestions for equipment, photographic setup and touching up work. 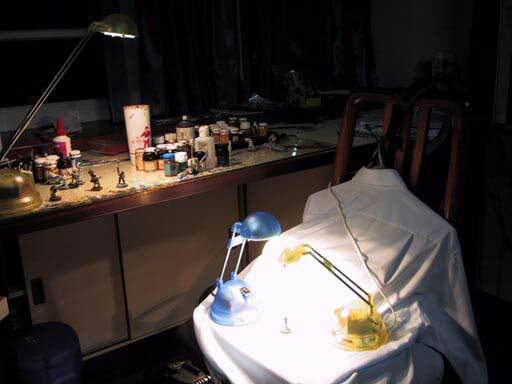 Why photograph?There are chiefly two main methods of capturing images of painted miniatures: Scanning and Photographing. *Scanning is useful for quick captures of work in progress, or when photographic equipment is not available. * However, it is difficult to capture images of large models or if several different views are required, as the figure must be laid flat on the scanner. * Photography using a digital camera is the best and most cost effective way of getting images of your miniatures. * It is possible to photograph using conventional film cameras, but this will greatly increase your costs, due to wasted shots, the need to take many more shots due to uncertainty, better lighting equipment required to reduce poor shots that all lead to greater film processing costs. * You will still get the same number of poor shots with digital cameras, but they are essentially "free", just delete them and take some more. Macro mode (close-up mode). This should allow you ideally to get within 10 cm of a figure and remain in focus. Semi-manual mode, where flash can be turned off. 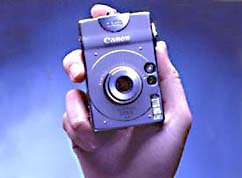 At least 2 megapixels resolution, so that photographs will have a sufficient amount of detail. Easy and fast connectivity to your computer (e.g. via USB or Firewire) without additional adaptors. Parallel/serial connectors are usually very slow. A light blue backing is ideal because it provides enough reflection from lamps, and if necessary is easily removed in post-production. * I regular used a blue shirt or pillow case draped over a stack of books. Any type of desk lamp may be used, in this example all 3 are regular 60 watt lamps. * Since they are not "daylight" lamps, certain adjustments in camera settings need to be made (more on this later). As you can see from the animation, two of the lamps are setup either side of the figure. * These provide illumination to the back and side. * The camera is pointed towards the figure and macro mode and no flash are set. * You will usually not have to adjust shutter speeds, and auto-focus defaults to "on" for all the consumer level digital cameras I have seen. *Some cameras will also allow you to automatically set the colour balance depending on the light (ie the pictures will be made "cooler" if taken under yellow bulbs, and* "warmer" if taken under fluorescent lamps). Check the LCD screen to frame the picture properly, the viewfinder is not accurate in macro mode unless it is an SLR. * Using the Handheld lamp (just a regular desk lamp), illuminate the front of the figure and check your LCD to make sure everything looks good. * You can now take your shots! Here are my suggestions for very good post production tools. * An excellent tool to use is Adobe Photoshop (http://www.adobe.com). * Versions 5.5 and above have very good "save for web" utilities that will allow you to optimize images and estimate how long they will take to download, and allow you to trade off image size and quality with ease. * A cheaper alternative would be Paintshop Pro (http://www.jasc.com) which has a fully functional evaluation version and approaches the sophistication of Adobe Photoshop at a fifth of the price. Alternatively, if you aren't going to be doing much more than cropping and resizing, then the king of image viewing programs ACDsee (http://www.acdsee.com) will suffice, and will allow you to easily browse all your photographs with minimum system load. * This software is completely free, if you don't mind putting up with ads, or you can buy it to disable advertising. If you are unsure, you should also read the next page. The world of print and that of screen are completely different, and it can sometimes get confusing since a lot of the more established tools use printing terms that have little to no relevance to the Internet. Same 72x72 image, stretched out to fit a 144x144 space. This is what the image would look like printed out over 2 inches square (ie 36 dpi). * It's a bit blurred because it's still the same 72x72 image stretched out to do the work of a 144x144 image. 144x144 image. * Since it's occupying a 144x144 space, it looks sharp. * If printed out at 72 dpi it would occupy a 2 inch square. If printed out at 36 dpi it would occupy a 4 inch square. For example, using my digital S20 my pictures come in at 2048x1536 pixels. * This would roughly be two to three screenfuls for most average web surfers (your computer is probably set at 800x600 or 1024x768 resolution). * I wiill need to resample my image using an image editor to reduce the size by reducing the number of pixels in the image. * A good rule of thumb for "man-sized" figures is 300 to 400 pixels in width*. This will involve throwing away pixels and information, so if you blow the picture up again to it's original size it will not be as sharp since information is lost. * It is always good to keep a backup of your images with the original number of pixels, in case you need to do close-ups of specific areas later. Same image with maximum compression. Note the deteriorated appearance, clarity and the artifacts. * However, file size is only 2kb, an 87% savings in space (and hence transmission times). Well, that's all. You're on your own. * Happy painting and snapping! * *I'd recommend a minimum width for a man sized figure (from shoulder to shoulder) of about 300 pixels now, as opposed to 250 to 300 originally stated. The online audience has evolved and is now expecting more detailed images.